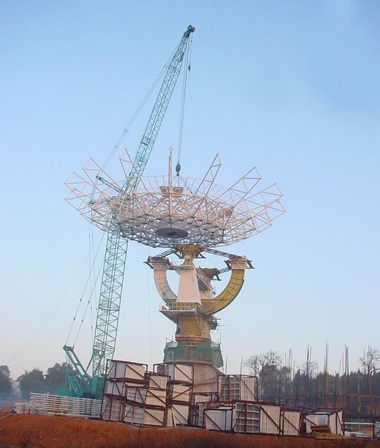 Heavy lifting of huge radio telescope, 45 meters high, 400 metric tons and diameter is 40 meters. 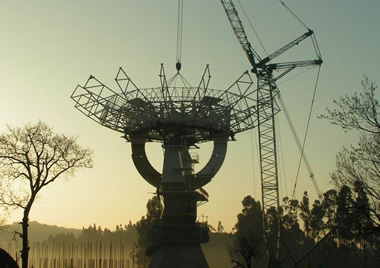 The telescope was erected in observatory of Chinese Academy of Sciences Kunming. Kunming’s elevation is around 2000 meters.